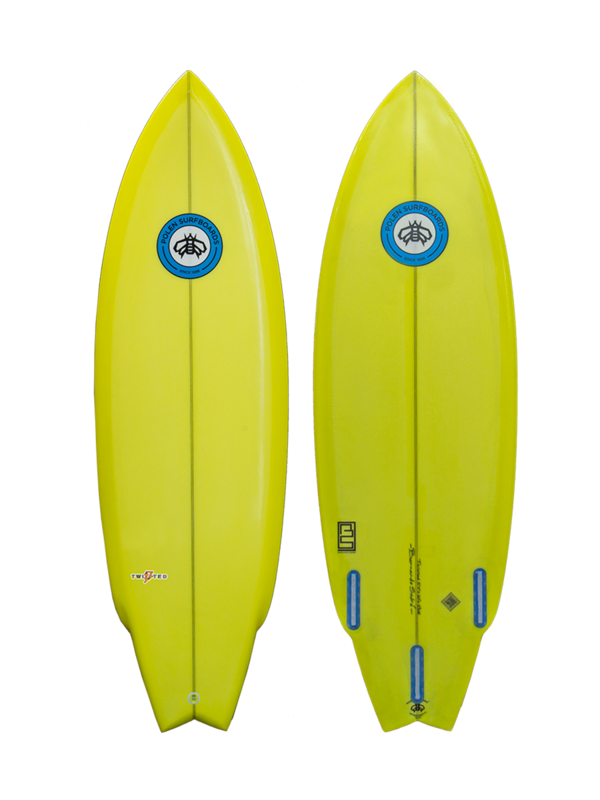 TWISTED - This model is based on a modern twin fin template, but also works great as a thruster. It is a fast board with low entry rocker, but unlike a common twin fin it was designed with some exit rocker, allowing faster and tighter turns and top to bottom surfing. A single to vee bottom gives this board a great front foot drive and allows for easy rail-to-rail surfing.